Last week, USTFCCCA announced their annual All-Academic individuals and teams for the indoor and outdoor track & field seasons. 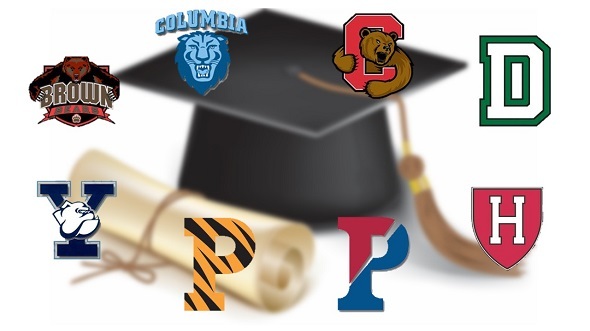 All eight Ivy League schools were selected as All-Academic teams, while a total of eighty-two student-athletes were given individual honors. For the individual honor, the student-athlete must have compiled a cumulative grade point average of 3.25 and have met either of the following athletic standards: for the indoor season, a student-athlete must have finished the regular season ranked in the national top 96 in an individual event or ranked in the national top 48 in a relay event; or for the outdoor season, a student-athlete must have participated in any round of the NCAA Division I Championships (including preliminary rounds), or for multi-events finished in the top 48 in the region. Meanwhile, the team honors were handed out based on a high finish at the NCAA national championships and have at least a 3.00 cumulative team GPA. The Yale men finished with the fourth highest GPA in the nation with 3.43. Congratulations to all of these student-athletes! This entry was posted on Monday, August 8th, 2016 at 8:17 pm. It is filed under Athletes, Awards, Spotlight. You can follow any responses to this entry through the RSS 2.0 feed.